Tuscany is one of the most beautiful regions of Italy. Known worldwide for its artistic heritage, history, culture result of the time of the Etruscan civilization and the Renaissance; diversified's beautiful landscapes from the mountains to the Tyrrhenian Sea. Tuscany is widely regarded as the true birthplace of the Italian Renaissance, and has hosted some of the most influential people in the history of the arts and science, like Petrarch, Dante, Botticelli, Michelangelo, Leonardo da Vinci, Galileo Galilei, Amerigo Vespucci and Puccini. Its unique culinary tradition, fine wines, the most famous of which are Chianti, Vino Nobile di Montepulciano Morellino di Scansano and Brunello di Montalcino crown its uniqueness. Lucca is one of the provinces of Tuscany on the left of the Serchio; its territory extends north to the Garfagnana, east to the Versilia coast, and west to the province of Pistoia. Lucca has preserved the charm of its medieval Old Town. Also this is one of the most beautiful and famous cities of Italy. Called the city of 100 towers and 100 churches, is in fact full of churches and monuments, works of art to visit; some of them: Ilaria del Carretto by Jacopo della Quercia, il Volto Santo (the Holy Face), Cathedral of San Martino, church of San Michele in Foro, Basilica of San Frediano, Museo di Villa Guinigi, many others. Lucca is famous for its medieval walls, walls with ramparts of the sixteenth century, remained intact in all their grandeur of fortifications, on which worth a relaxing walk, watching the city from a wonderful angle. Lucca is also famous for its beautiful villas, some of which can be visited, among them: Villa Mansi, Villa Reale. In the historical center of Lucca in late October, early November is held Lucca Comics & Games, which is the most important Italian exhibition dedicated to comics, animation, games (role-playing, board games, card) and the imaginary fantasy and science fiction. 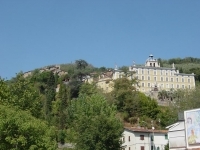 Ponte a Moriano: Convent of the Angel. Is considered the birthplace of the Renaissance and is universally recognized as one of the cradles of art and architecture, well known as one of the most beautiful cities on the planet, about its numerous monuments and museums, including the Duomo, Santa Croce, the Uffizi Gallery, Ponte Vecchio, Piazza della Signoria and Palazzo Pitti. Important university center, and center, historical, artistic, economic and trade fair. In the Middle Ages was an important cultural, commercial, economic and financial center. In modern times has served as the capital of Grand Duchy of Tuscany under the rule of the Medici and Lorena families. 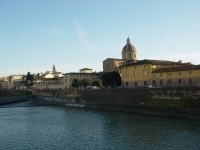 Was the capital of Italy from 1865 to 1871, after the unification of the country. 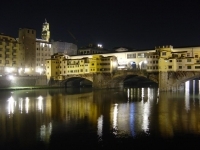 Today Florence is the capital of the province of Florence and Tuscany. In the center, near "Piazza della Signoria". Via dei Leoni. 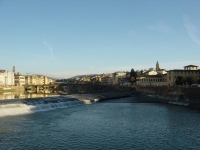 8r 50122 Florence - Tel 055.239.80.13. Good food, reasonable prices, tested. The Tower is the symbol of Pisa because of its characteristic slope and the most famous monument in Piazza del Duomo. In the Piazza del Duomo, also known as Piazza dei Miracoli, there are the greatest examples of Romanesque Pisan. The square is the most famous and visited monuments of Italian art. On the square stand the Cathedral, the Baptistery, the Bell Tower (Leaning Tower or the Leaning Tower), and the Cemetery. Also: Museo dell'Opera del Duomo, la Fortezza Nuova (the New Fortress), Church of Santo Stefano, Church of the Spina, La piazza dei Cavalieri. 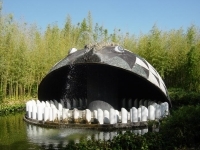 The Regional Park Migliarino, San Rossore Massaciuccoli, established in 1979, covers about 24,000 hectares located along the coast between Viareggio and Livorno. Although the focus of a highly urbanized area, this area has retained considerable natural character, so that there is a rare example of undeveloped coastal area. There are several ways to access and visit to the territories of the Park. 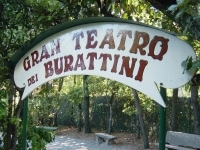 The best and safest way to discover the Park of San Rossore Migliarino Massaciuccoli is to use the guided tour service made available by the Regional Park Authority, also required to know the locations of the Presidential Estate of San Rossore, and Tenuta Salviati in Migliarino. The suspension bridge is a pedestrian walkway that connects the two sides of the Lima River between Mammiano Basso in the municipality of San Marcello Pistoiese and Popiglio in the municipality of Piteglio. It is realized with structures which rest on four steel cables held in tension; Measuring 227 meters in length, 36 meters in height sull'alveo River and 80cm wide. In 1990 it was entered in the Guinness Book of Records that counted as "the longest pedestrian suspension bridge in the world". Since 1650 is the city of Palio. Sito ufficiale del Turismo: terresiena.it. 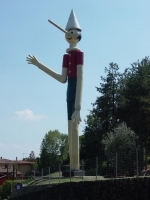 Collodi is officially recognized as the birthplace of Pinocchio, the famous puppet protagonist of the novel for children by Carlo Collodi. - Church of Saint Bartolomeo (Bartholomew), patron saint of the village, celebrated 24 August. 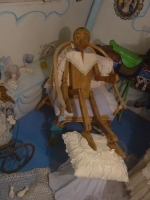 - Collodi Castello: medieval village, close to the Park of Pinocchio. 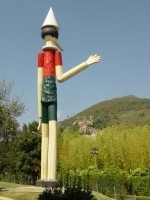 San Miniato is a land rich in history and tradition. 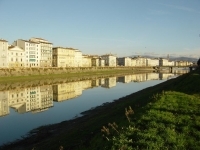 The historical town is strategically located on a hill along the Arno halfway between Florence and Pisa; the city until the final conquest of Florence, was therefore the scene of clashes between the two capitals today. 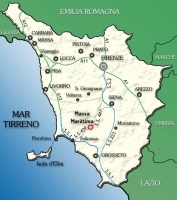 See Diocese of San Miniato is an important economic and industrial zone of leather and is famous for its white truffles. Truffle market: from 40 years in San Miniato holding the National Exhibition of the White Truffle, which throughout the month of November, the city turns into a great tasting workshop in the open. The city of a hundred towers. San Gimignano, a city of beautiful towers, rich in History, Art and Culture in the green Tuscan countryside is perched on a hill (334m high) dominating the north of Siena Val d'Elsa. The towers are evidence of the strong economy in the late Middle Ages, allowed the creation of an urban aristocracy, who expressed his political and social supremacy in the construction of the towers, once symbols of power in the fourteenth century it grew to 72 towers (today they have remained 14). For the typical medieval architecture of its historic center was declared a UNESCO World Heritage Site. 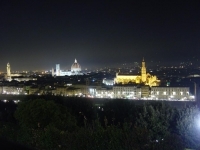 Among the specialties of the towered city is the famous Vernaccia and saffron. Volterra is now a village, with its characteristic medieval, in Val di Cecina. Volterra saw born, with the Etruscan civilization, the manufacture of the alabaster, becoming the traditional center of manufacturing and exclusive result of experience on manufacturing techniques, handed down over time by craftsmen. comuni-italiani.it Toscana: provinces, municipalities, forecasts, maps, information. Servizio Agrometeorologico Arsia - Toscana. The Cinque Terre is a jagged coastline of the eastern Ligurian Riviera, the Riviera di Levante, situated in the province of La Spezia, between Punta Mesco and Punta Montenero, in which there are five villages, small towns or, as once said, lands: Monterosso, Vernazza, Corniglia, Manarola and Riomaggiore, listed moving from west to east. The Cinque Terre is one of the Mediterranean areas and natural habitats most pristine and largest of Liguria. The wine growing, typical of the area, has helped create a unique landscape with traditional dry stone walls, typical of the hills overlooking the crystal blue sea with bays, winding paths and enchanting small beaches between cliffs.